Call 908.273.6999 or use the form below to contact us. Do you have problems or questions regarding your health insurance? If you are a Medicare beneficiary and resident of Union County with questions about Medicare, call 908.273.6999 and speak to the SHIP office at SAGE Eldercare for free, objective, and confidential assistance. What can you do if Medicare denies payment for a claim? Who do you call if you have questions about a claim? What are the gaps in Medicare coverage? 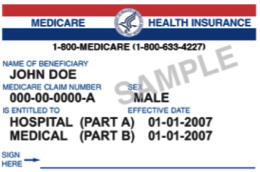 What is the difference between original Medicare and Medicare Advantage plans? What do you need to know before selecting a prescription drug plan? Do you qualify for low income subsidies to cover premium and co-pay costs? SHIP (State Health Insurance Assistance Program) of Union County is a national statewide program, administered by the New Jersey Department of Health and Senior Services, Division of Senior Affairs, with major funding from the U.S. Department of Health and Human Services’ Center for Medicare and Medicaid Services. SAGE is the sponsoring organization for the program in Union County. SHIP counselors do not provide legal advice, sell, recommend, or endorse any specific insurance product, agency, insurance company, or HMO. They provide information and assistance so that clients can make their own decisions. Presentations can be arranged for counselors to speak with organizations. Additionally, a Spanish-speaking counselor is available upon request. Open enrollment occurs each year between October 15 and December 7 for the next plan year. During this period, you can make changes to Plan C, the Medicare Advantage Plan, and Plan D, the Medicare Prescription Drug Coverage. To learn more about SHIP and Medicare in Union County — or to talk about other ways we can help, call us at 908.273.6999.